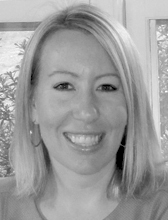 Emily A. Iarocci is currently a Senior Advisor at TechOp Solutions International. Prior to this, she was a lead investigator and senior researcher at the National Consortium for the Study of Terrorism and Responses to Terrorism (START) within the Unconventional Weapons and Technologies (UWT) program. She served as a principal investigator on the Integration of International Architecture Analysis project. She has extensive experience in taxonomy/ontology development and implementation for use in standardizing datasets, creating technical interfaces, and enabling interoperability and quantitative analysis, all of which are integral components of the project. Dr. Iarocci’s prior research largely focused on infectious diseases, particularly pandemic influenza and the bioterrorist agents. Her previous professional experience includes laboratory research at the University of Notre Dame and Tulane University and employment at Georgetown University Medical Center where she was the lead researcher/project manager for a team conducting international infectious disease media surveillance for federal government customers.